I have been using and promoting the use of personas for many years now, not only because I believed in them from the very first time I heard of the methodology, but also because I have seen the true impact it has during the definition of more meaningful customer experiences. Sill today, I face clients or even co-workers with doubtful eyes when suggested to use personas throughout the development process. That’s usually because they share the misconception that personas are just fictional characters and cannot possibly represent the majority of an audience (and therefore are a waste of time and money). That’s of course far from the truth. What skeptical minds do not realize is that personas are actually created out of data. In fact, they not only come from quantitative data (which most marketers are accustomed too) but also combine important qualitative data that inform us on deep human needs and habits. That’s why personas are a key component of human-centered design. Persona artifacts are meant to provide a portrait of the people analyzed during the research phase. Each persona is in fact the representation of many individuals sharing similar behavioral patterns, synthesizing all common and significant attributes contributing to a distinct conduct. Unlike a marketing segmentation, personas provide more insights regarding the overall context, recurring challenges, common perceptions, social trends, goal-driven expectations, shared emotional needs, etc. 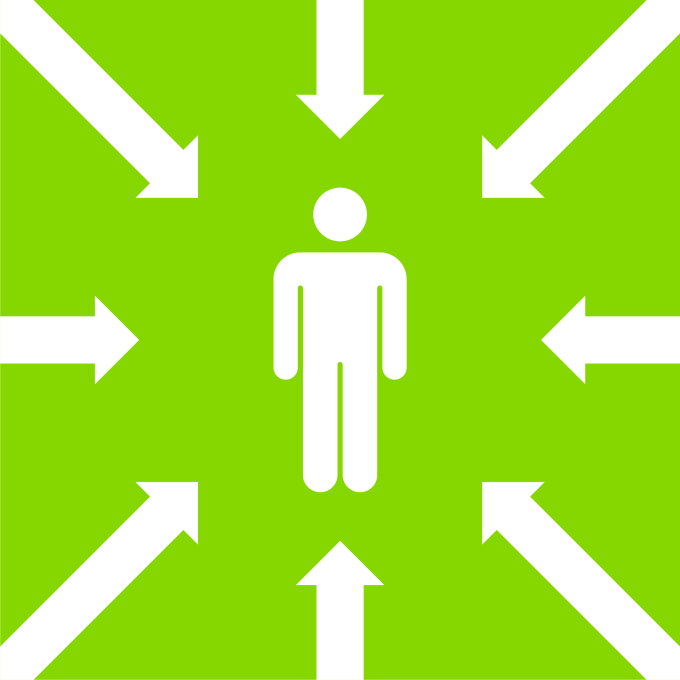 More importantly, personas humanize the target audience and make us care more for them. In a previous article I was exposing the truth about how consumers have evolved in the last century, particularly in the last couple decades. Nowadays people expect so much more from brands. They want companies to be honest, to be there for them, to be proactive and be a true partner. It all comes down to injecting your service or product with responsiveness and compassion. In other words: empathy. Financial success or stability is important for any organization, but money should not be the only thing driving leaders and employees. Because people seek more and more meaning in their lives and want brands to provide some of it, companies need to really care about making a difference. Using your heart and your brain at the same time is a good way to start building impactful customer experiences. And personas are fundamental to the creation of meaning and value. As mentioned earlier, great archetypes come from insightful data that inform on both rational and emotional needs of our target audience. In the process of creating personas, the first steps is to gather as much data as possible, starting with existing assets, such as: demographics, sales reports, customer service feedback, website analytics, market trends, etc. Secondly, you will need to acquire further qualitative data in order to better understand the behavioral traits of your audience. This can be achieved through interviews, contextual inquiry or observation, surveys and focus groups. The sample is of course much smaller than a quantitative research but it can still uncover key emotional triggers that often influence task performance and decision-making. Once you organize all the data, cross-analysis will help you identify behavioral patterns and even uncover new opportunities to further answer the needs of your audience (and perhaps identify new revenue streams). That’s how you start understanding the humans behind the market segments. I have once conducted a deep dive analysis for an e-commerce project (a well known technical clothing company for various sports). Cross-analyzing data allowed me to identify two primary archetypes that would represent the majority of the audience. I ended up suggesting two polar-opposite individuals based on knowledge of the industry, experience with outdoor activities, and recurring challenges. On one side of the scale, the newbies (those new to the product category and related sport) can be insecure or get lost when shopping around for such clothing and needed to be supported during the purchasing cycle. On the other hand the experts (knowledgeable fans of the brand and product category) were feeling less certain about their favorite clothing company (seeing so many new ones with similar options) and needed to be reassured that they were still making the right choice. How did we respond to that? The final platform included contextualized education and strong evidence communication. Putting ourselves in the mind of our personas allowed us to create significant value. Another misconception is that personas are just sheets of paper or PowerPoint slides that you refer to from time to time. They can only be called “personas” if they are actually brought to life during the development process. How do you know if you have achieved that level of effectiveness? When your team and client regularly talk about the archetypes as if they are real people, doing role-playing during design validations and prototype walkthroughs. Keeping them alive also means having a personas owner who will make sure they are utilized but also continuously updated. Persona artifacts should evolve as you acquire new data, for instance when you monitor your new platform activities or when you conduct usability testing (for which personas can help define recruitment requirements). People and society evolve so keep an eye on social trends, consumer habits, market transformations, and changing cultural values. Always share updated artifacts and present the key changes or new insights. Connectivity chart: primary and secondary connections, influence toward service or product, levels of engagement, etc. Relationship characteristics (for each pair of actors): when they connect, service/product selection or recommendation process, general expectations towards each other. Background story: current situation, challenges, expectations, goals, and needs. Note: see my other article about journey maps for visual examples. Mini movie: if you have time or budget, you could create a short montage using actors (or amateurs that can make the characters feel real) and present a day in the life of. Being able to integrate and successfully use human-centered methodologies must come from the desire to make a difference in people’s lives, focusing on who they are and what they aspire to (whether you sell products or lead a non-profit organization). This must fundamentally be rooted in a company’s culture and values. If it is not the case, they are ways to get there, a step at the time. Even if at first you cannot develop advanced persona artifacts and if you have limited interest from your team, any small gesture can have an impact and over time you can transform your current development process. But what’s even more important is to demonstrate how being centered on humans (not just consumers and numbers) can actually help you become more innovative and create experiences around your products or services that bring real value and impact people in more meaningful ways.